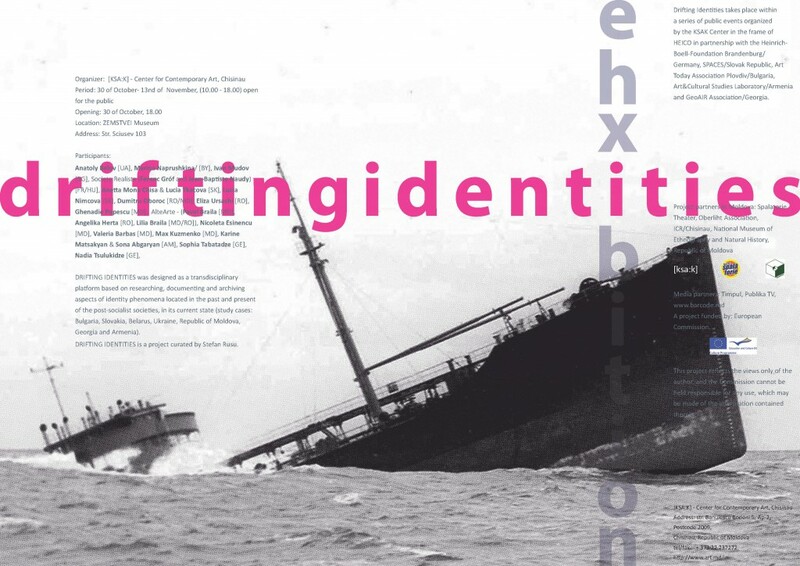 DRIFTING IDENTITIES is focused on researching, documenting and archiving the identity phenomena located in the past and the present of post-socialist societies and it is dedicated to the contextualization of identity tendencies (some recent, but also some residual markers), two decades after the dissolution of Eastern bloc). recent, but also some residual markers), two decades after the dissolution of Eastern bloc. DRIFTING IDENTITIES is curated by Stefan Rusu. Art&Cultural Studies Laboratory/Armenia and the GeoAIR Association/Georgia. 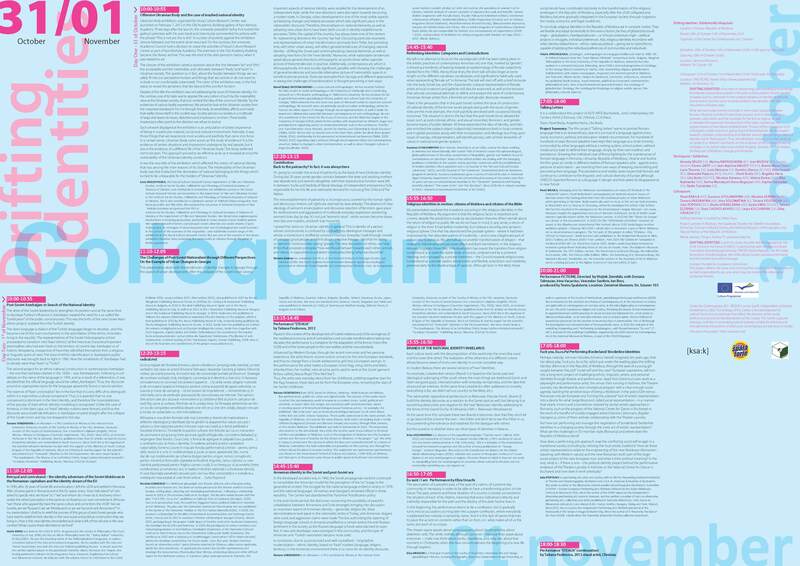 position of artists and contemporary art practices in society.